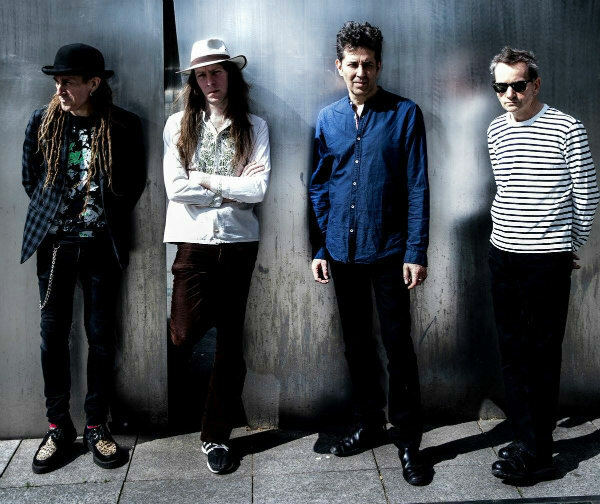 U.K. post-punk veterans The Monochrome Set will return to the U.S. early next year for a rare tour, playing nine dates — largely on the East and West coasts — as the group continues the celebration of the 40th anniversary of its formation. The U.S. tour, which follows dates later this year and early next year in Spain and the U.K., opens March 1 in Boston and runs through March 10 in Los Angeles. See the group’s site for ticket info. The Monochrome Set formed in 1978, and broke up in 1985 after the release of several albums. The group’s first reunion came in the 1990s, followed by a second in 2008. The current lineup features founding member and frontman Bid, plus bassist Andy Warren — who left Adam and the Ants in 1979 to join the Monochrome Set — and more recent additions John Paul Moran (keyboards) and Mike Urban (drums). Earlier this year, Tapete Records released a box set compiling everything released during the Monochrome Set’s original run, and the band also released its most recent studio album, Maisieworld. See full tour dates below.